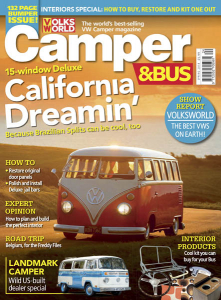 VW Camper - Spring 2018 » Download PDF magazines - Magazines Commumity! VW Camper&Bus magazine is the UKs leading publication for all things VW Transporter related from The T1 split screen Bus right through to todays more modern T5. It caters for all of them!